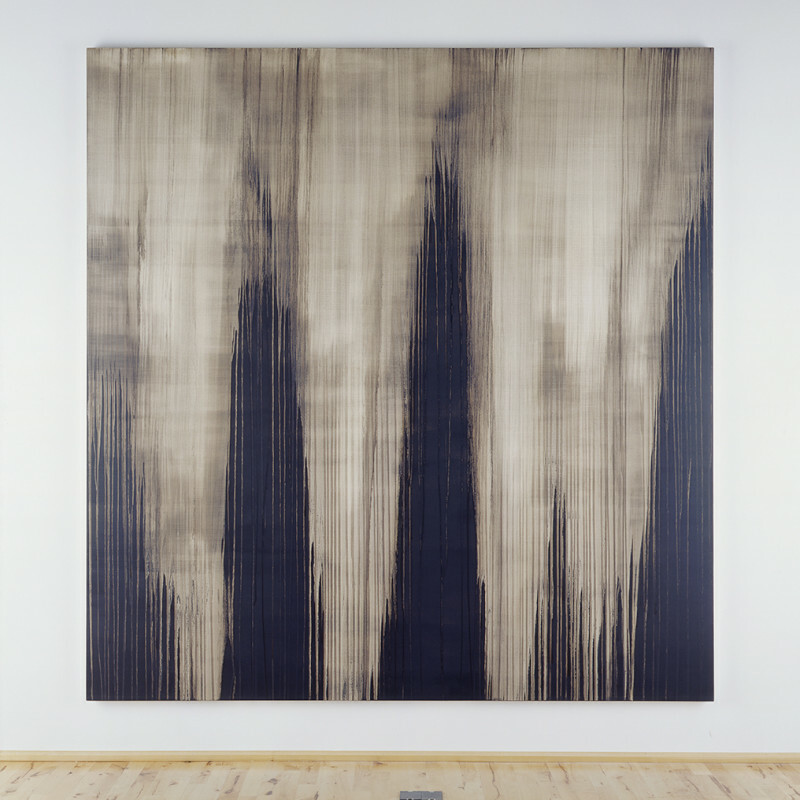 Callum Innes’s approach to the canvas, through his method of subtraction, has prompted the term “unpainting”, a coinage the painter is at ease with. And it is true that the artist is in many ways dissolving an image that is already in his head. The inspiration or subject matter can be quite mundane; headlines of the day, the reading material of the previous night – but a clear image all the same. However, the appearance of clean, precise paintings should not promote the illusion that the process is not chaotic – there is indeed chaos in the handling of the omnipresent black. Striving for beauty can be a messy affair. Callum Innes was born in Edinburgh in 1962. He studied drawing and painting at Gray’s School of Art from 1980 to 1984 and then completed a post-graduate degree at Edinburgh College of Art, in 1985. He began exhibiting in the mid-to-late 1980’s and in 1992 had two major exhibitions in public galleries, at the ICA, London and the Scottish National Gallery of Modern Art, Edinburgh. Since then he has emerged as one of the most significant abstract painters of his generation, achieving widespread recognition through major solo and group shows worldwide. Innes was short-listed for the Turner and Jerwood Prizes in 1995, won the prestigious NatWest Prize for Painting in 1998, and in 2002 was awarded the Jerwood Prize for Painting.